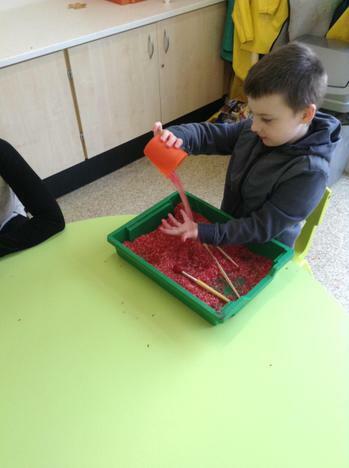 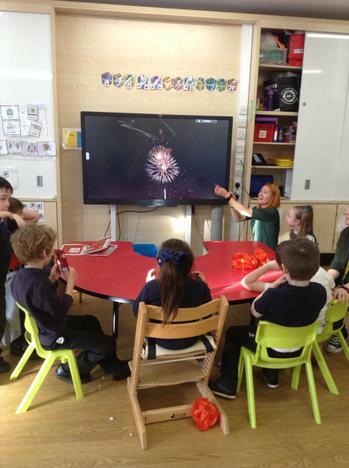 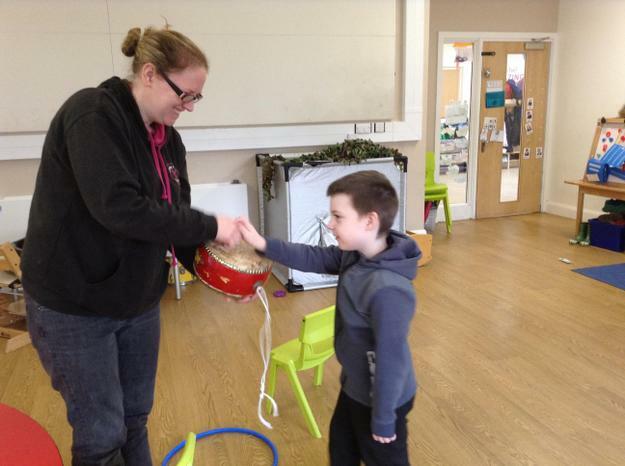 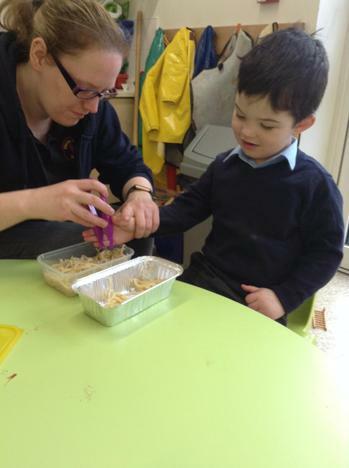 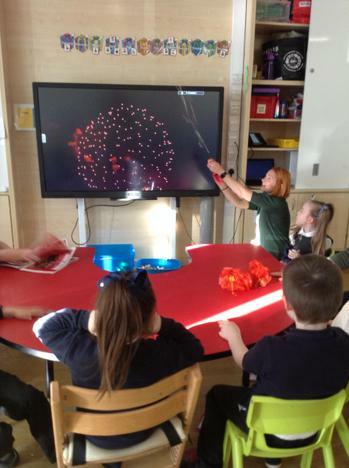 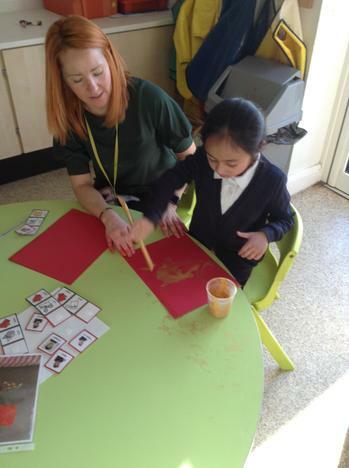 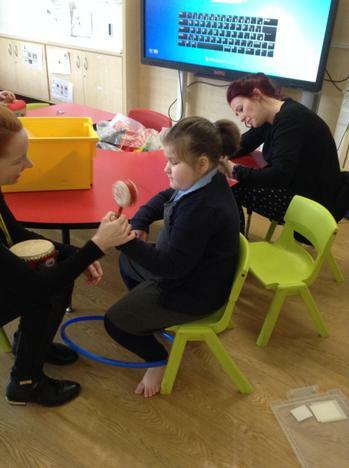 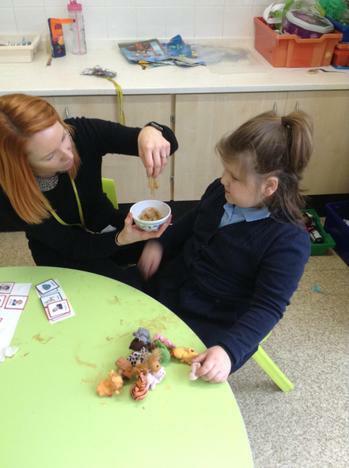 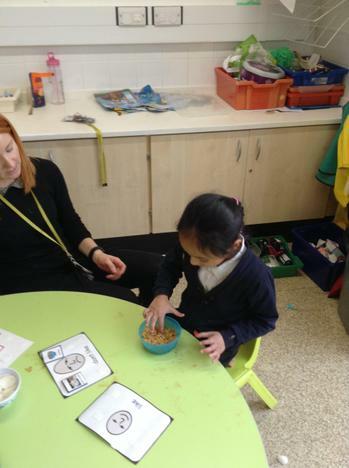 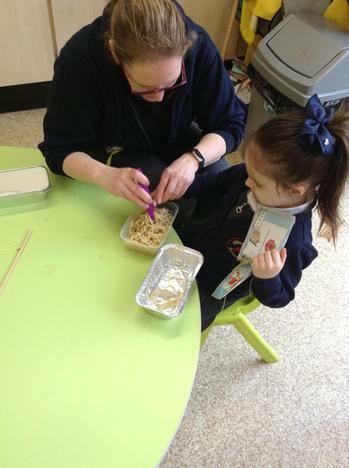 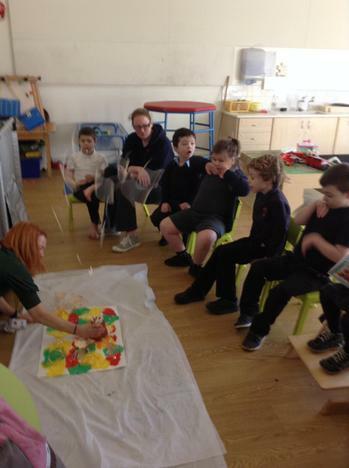 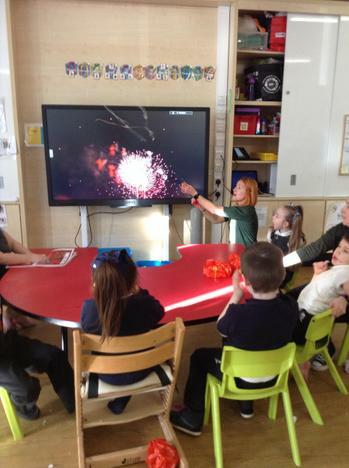 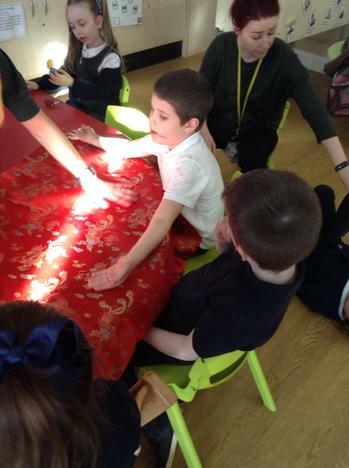 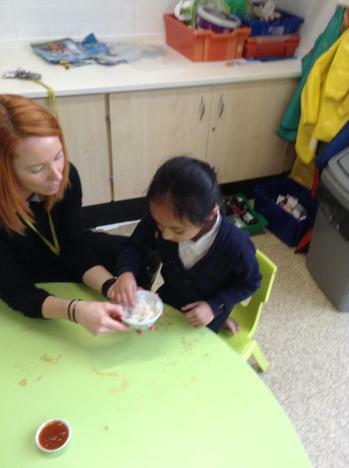 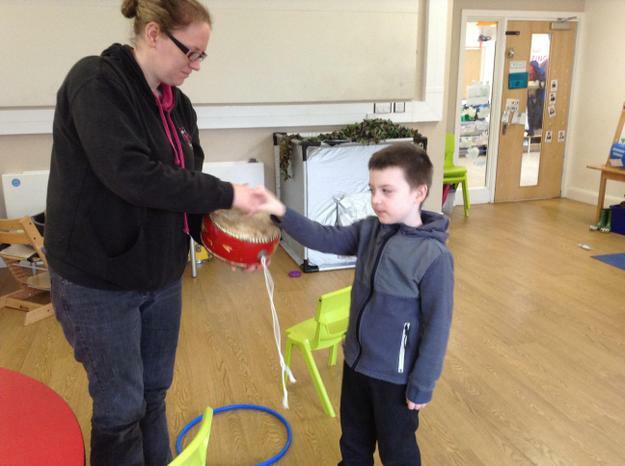 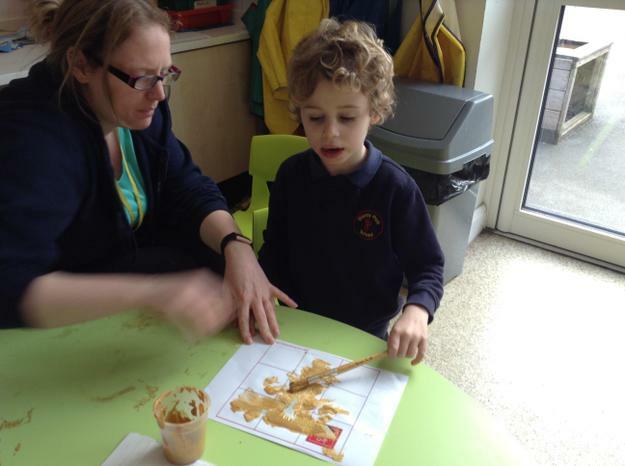 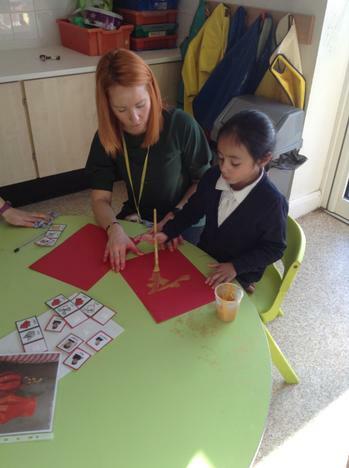 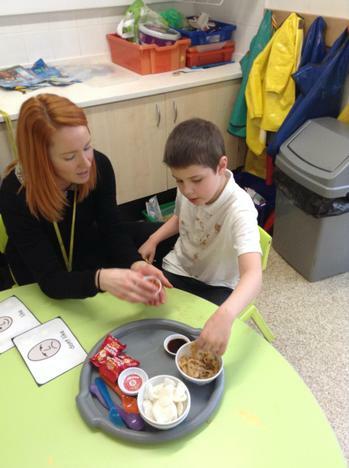 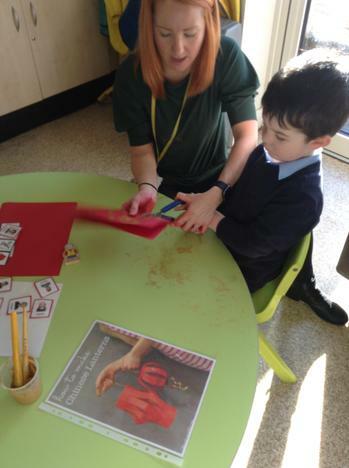 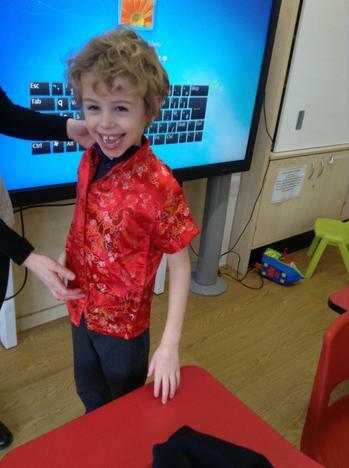 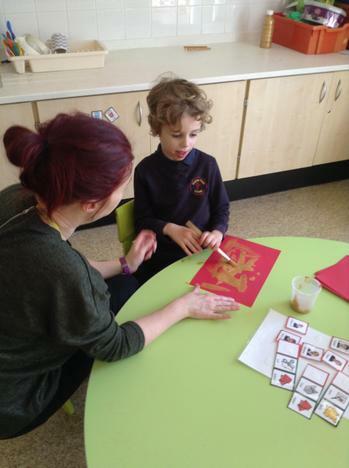 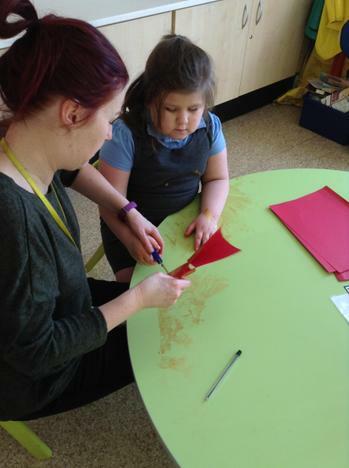 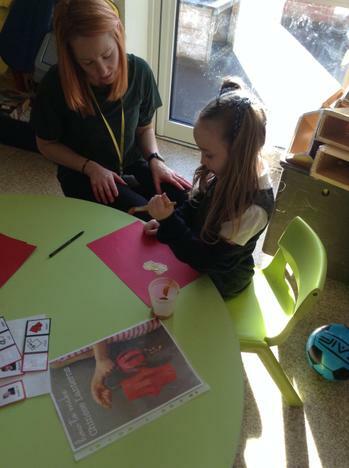 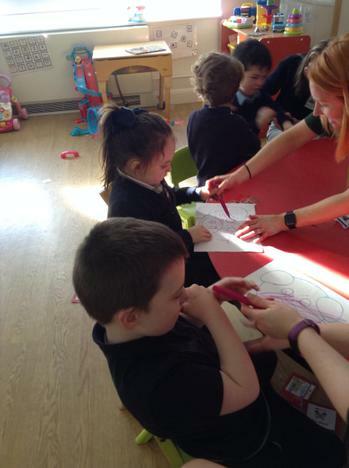 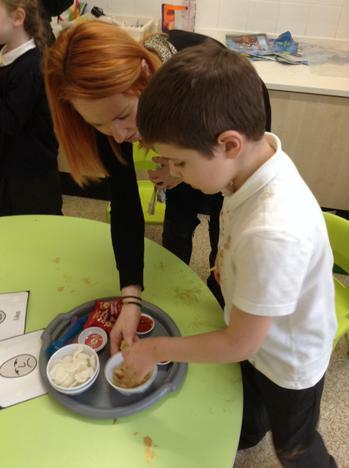 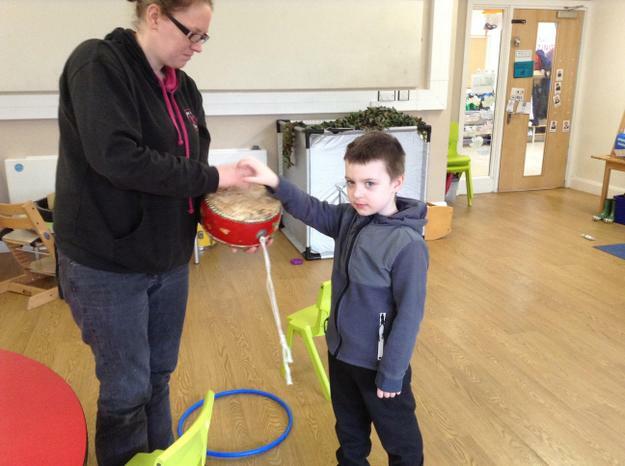 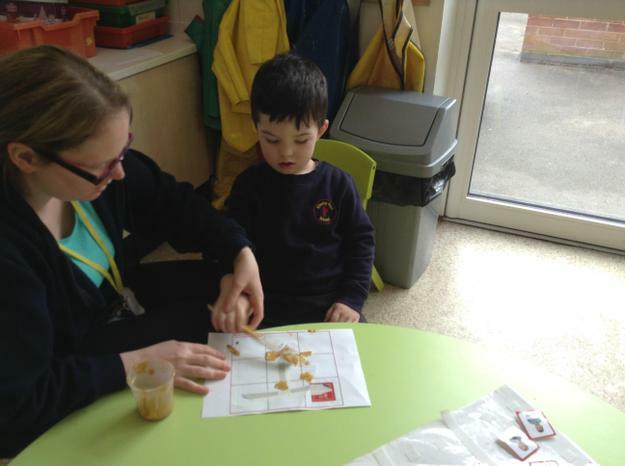 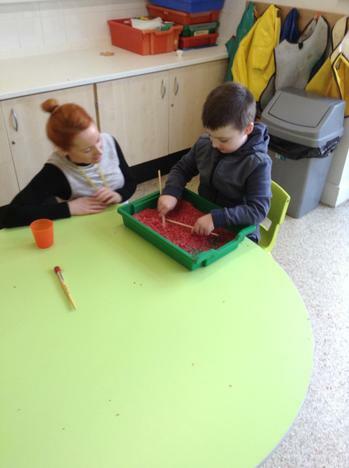 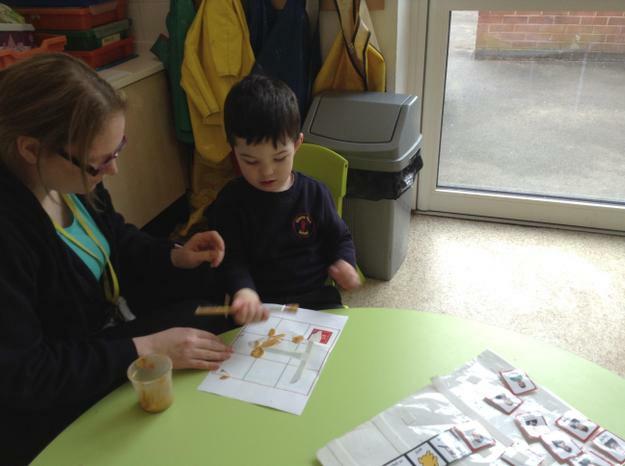 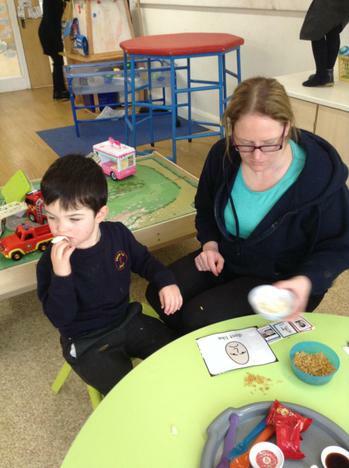 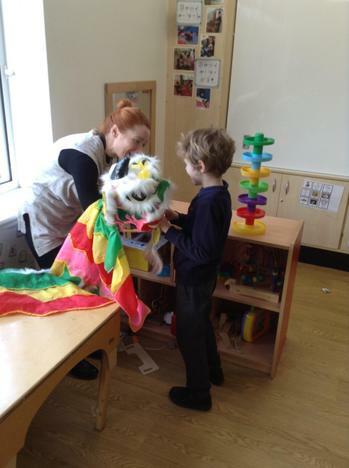 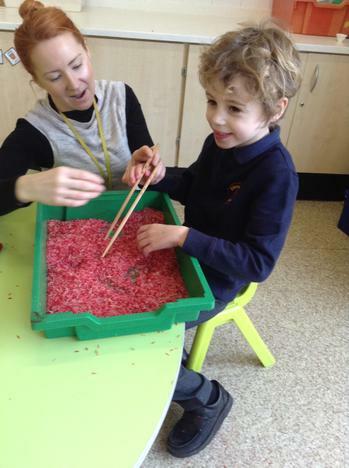 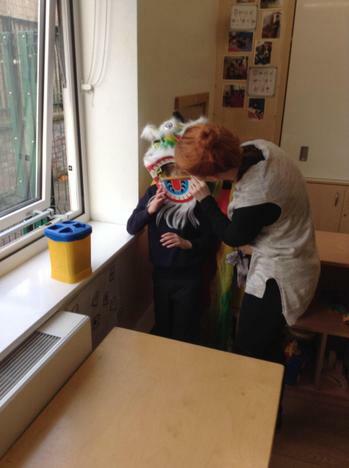 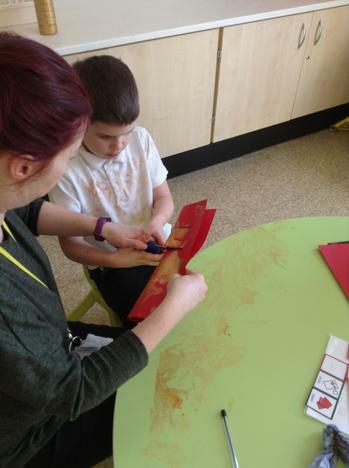 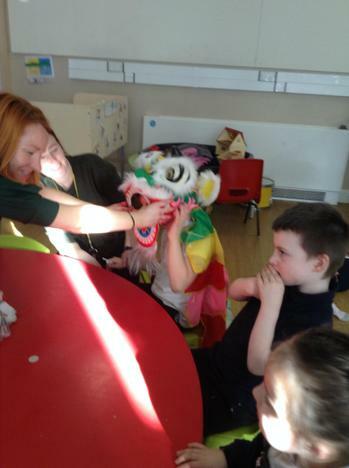 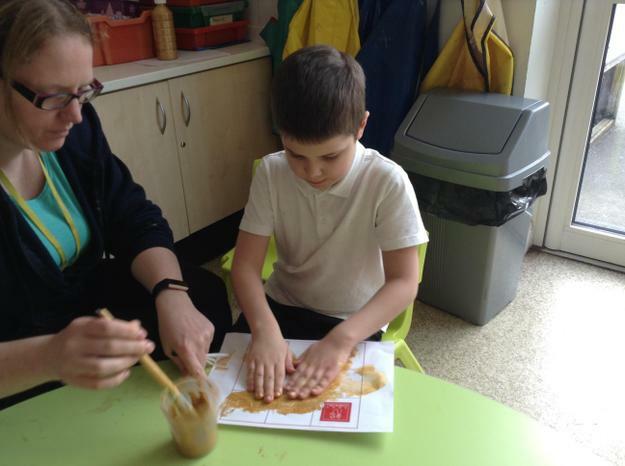 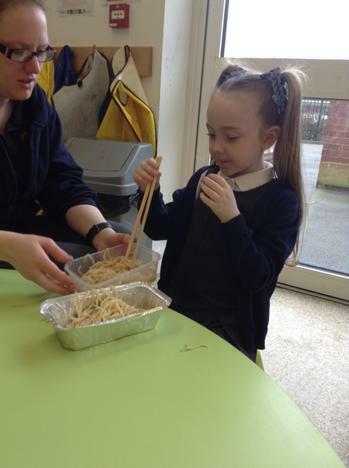 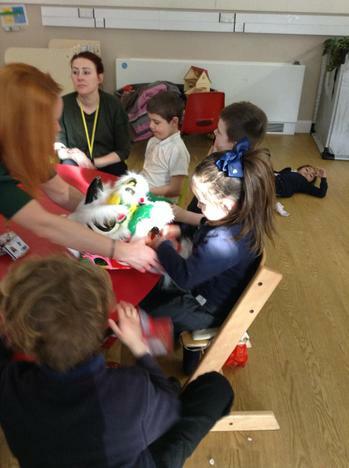 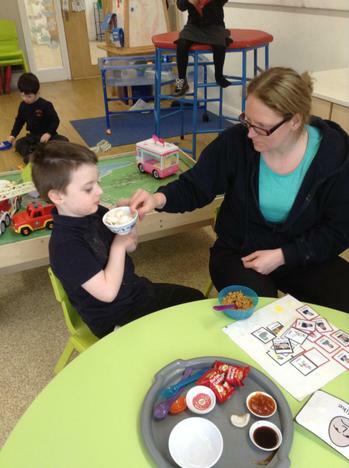 Lime class have been incredibly busy during the Chinese new Year festivities and the children have really enjoyed learning about Chinese customs and traditions in a multi sensory way. 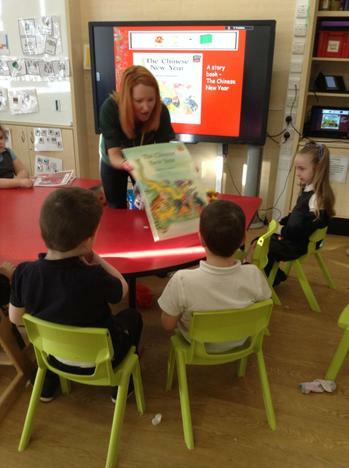 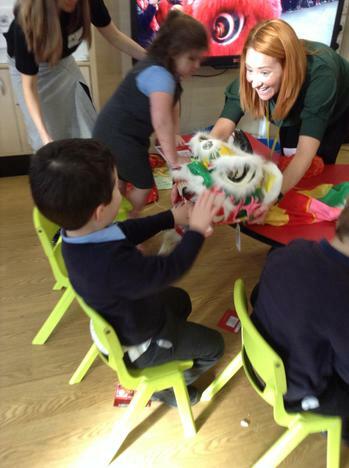 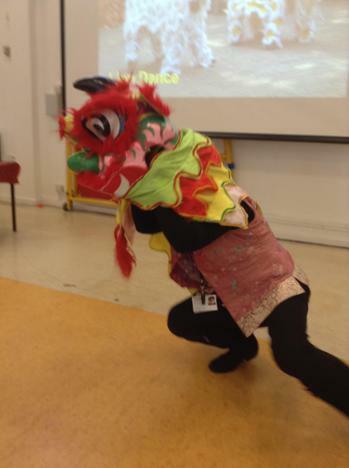 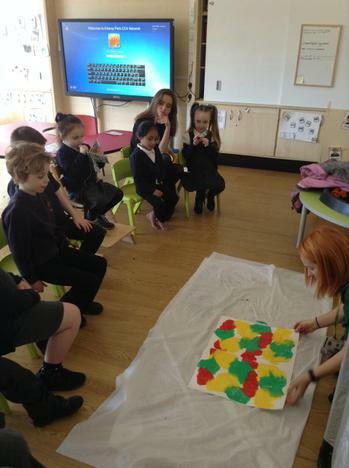 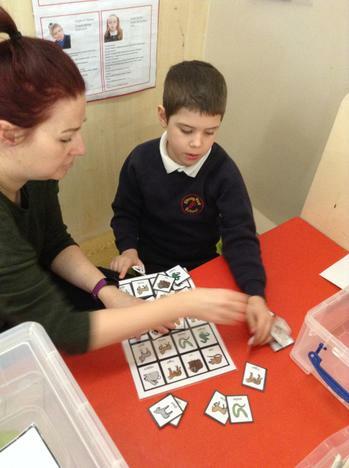 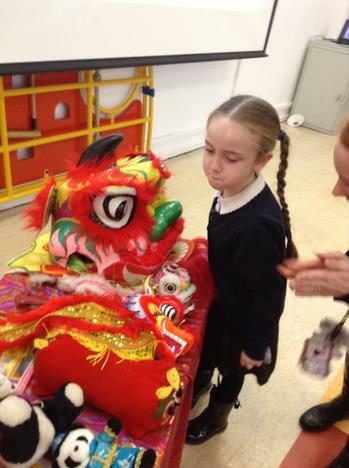 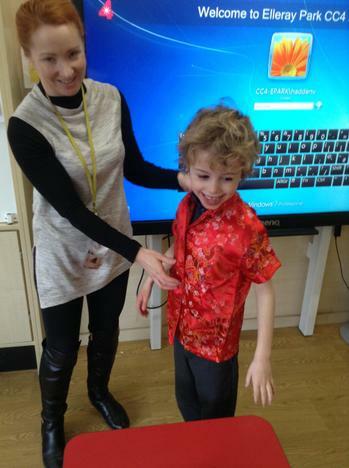 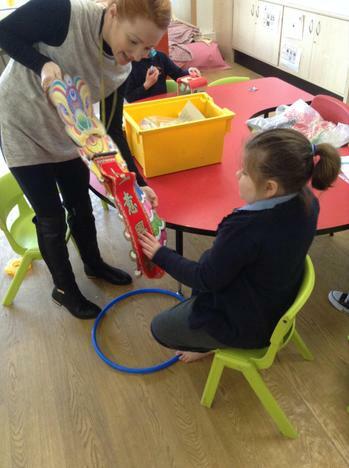 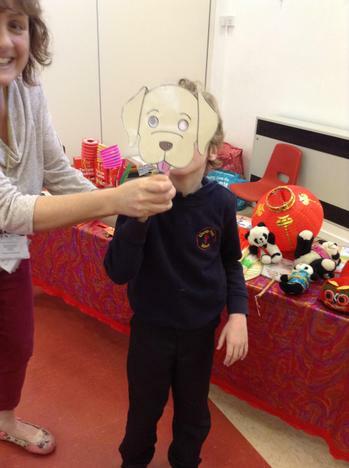 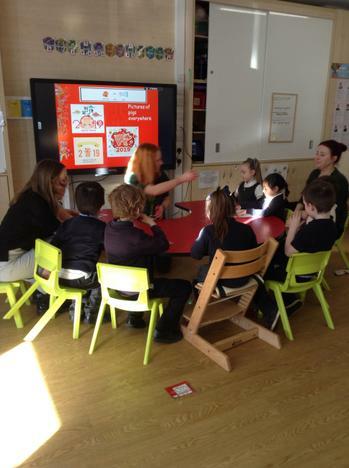 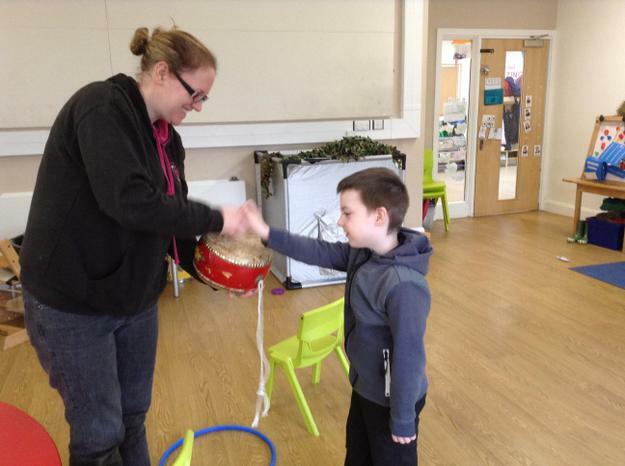 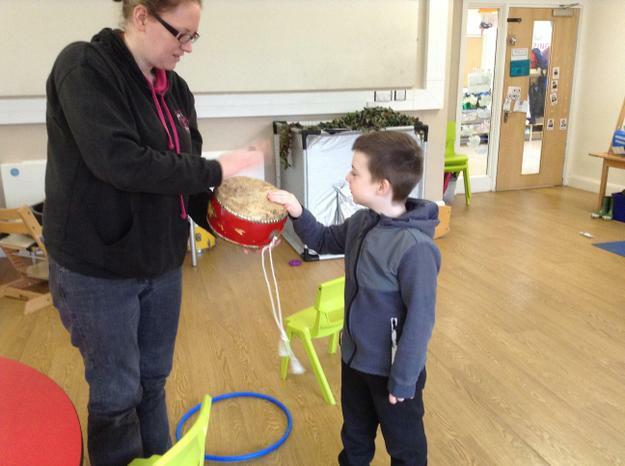 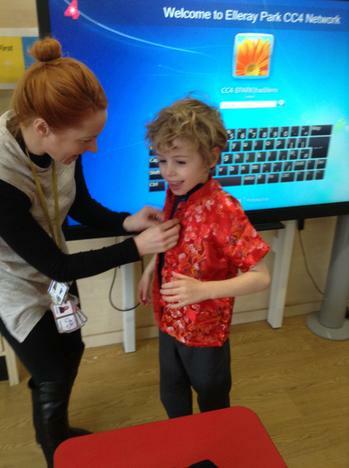 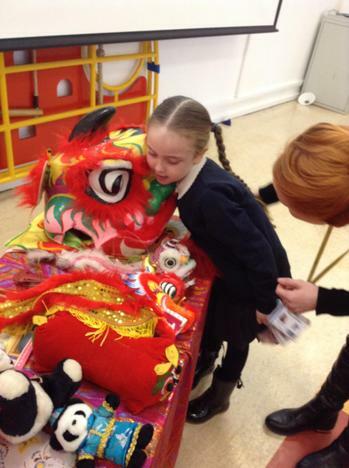 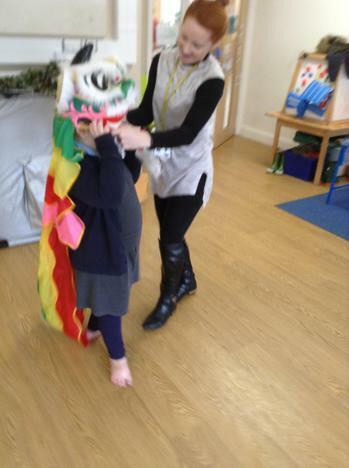 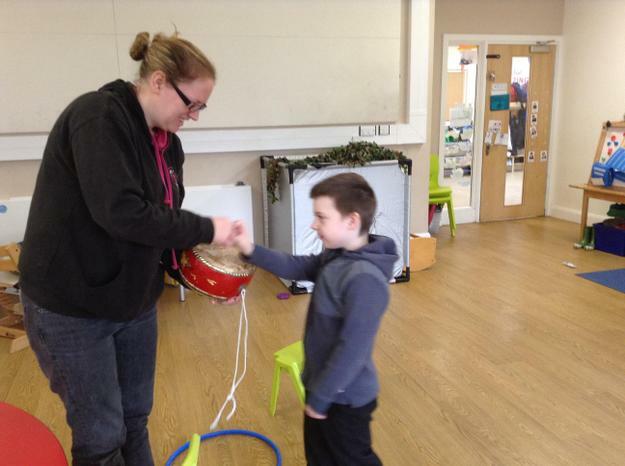 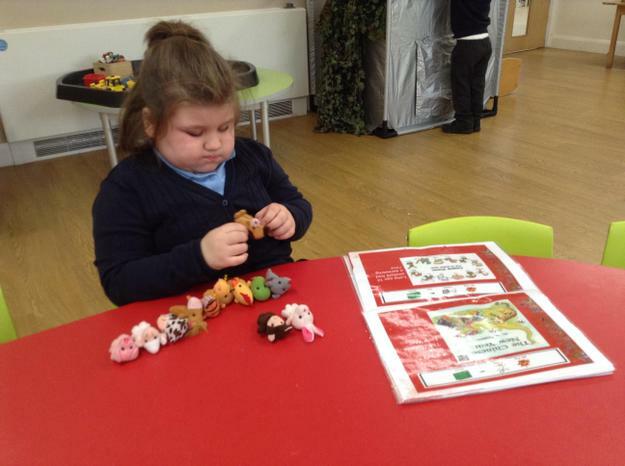 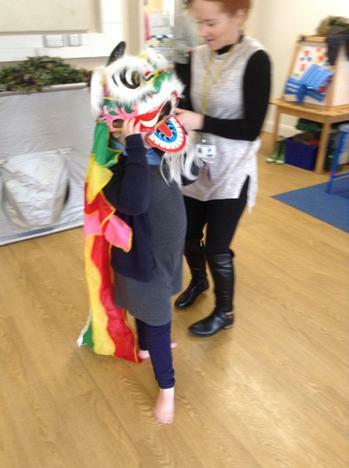 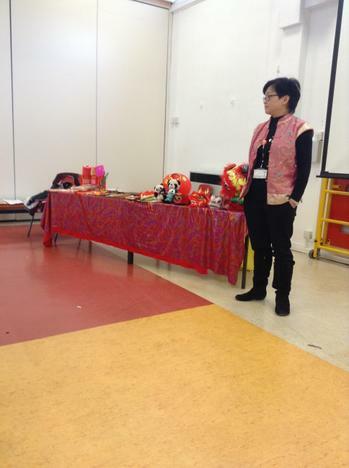 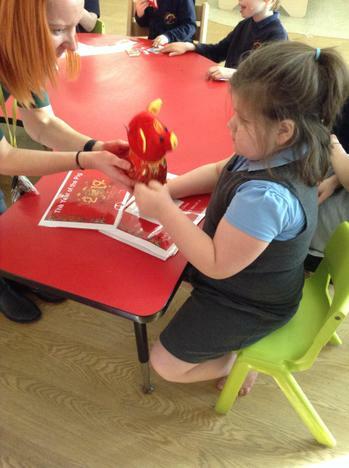 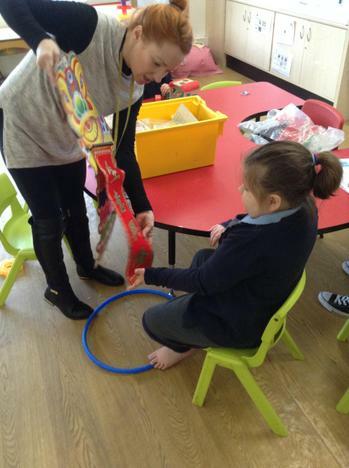 We enjoyed a Chinese new year workshop where we explored Chinese props and artefacts. 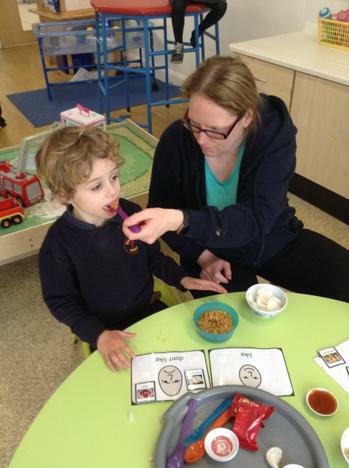 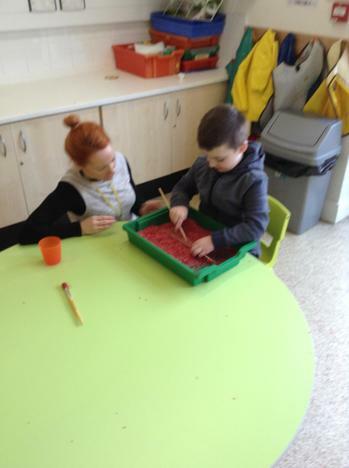 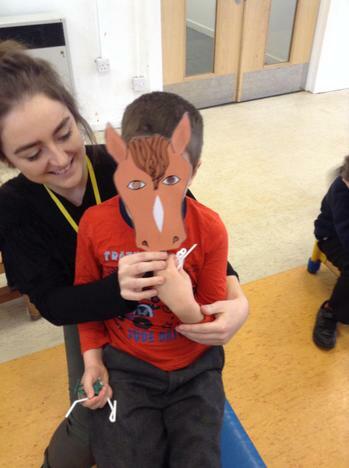 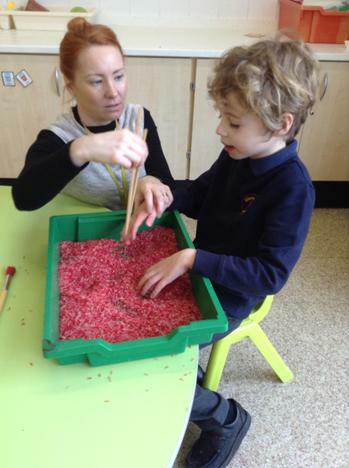 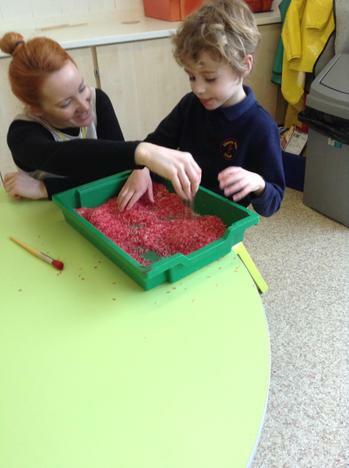 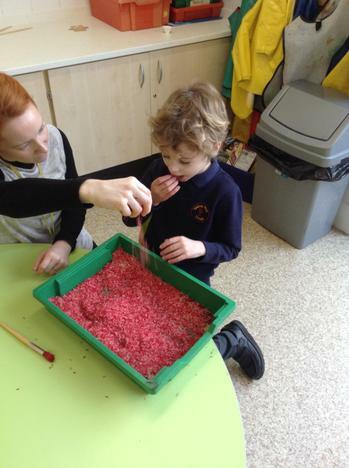 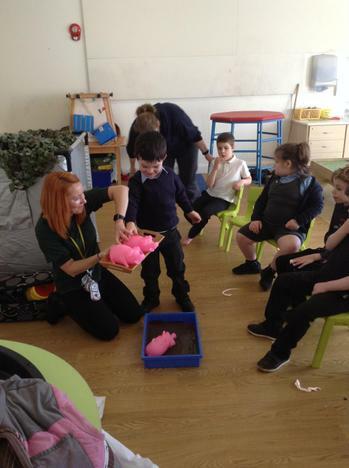 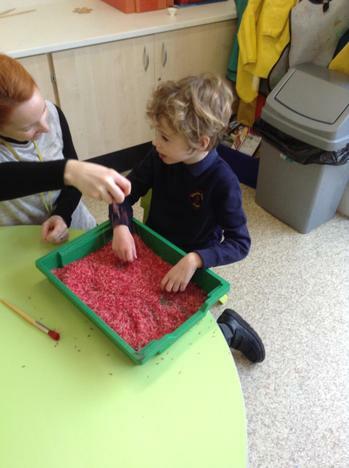 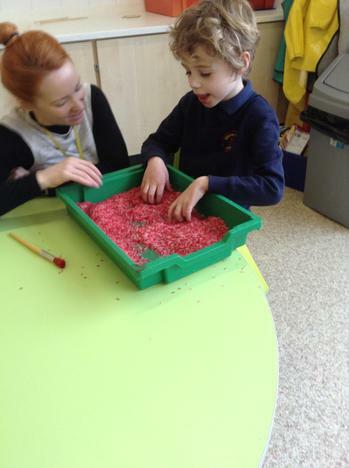 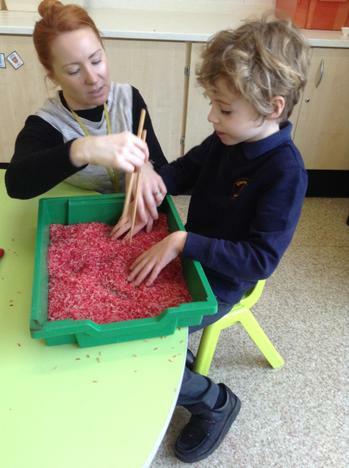 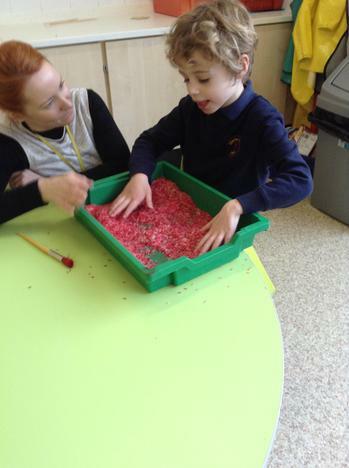 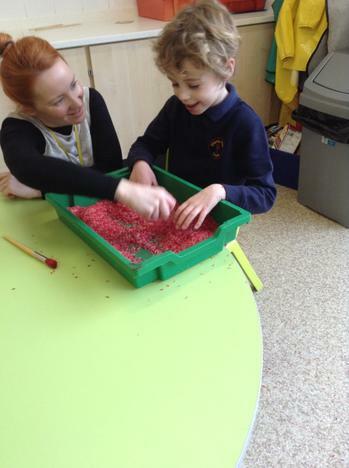 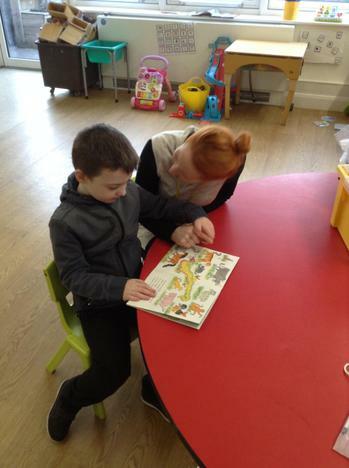 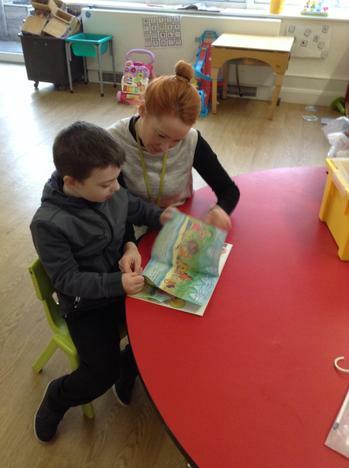 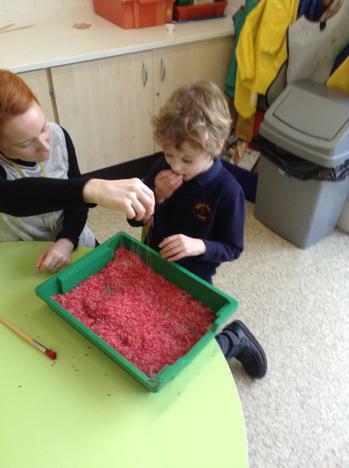 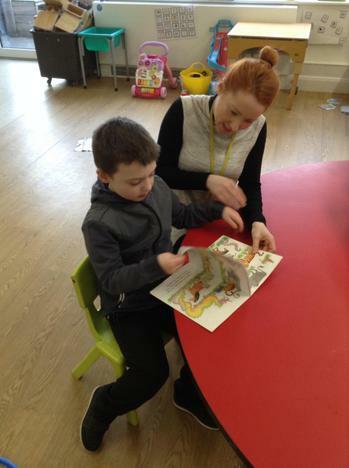 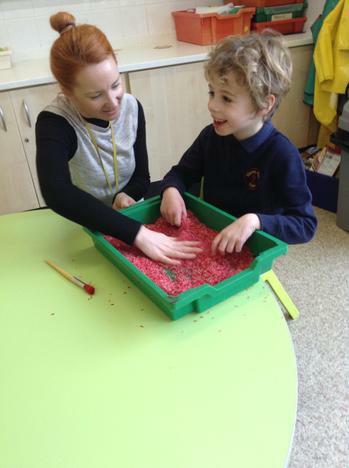 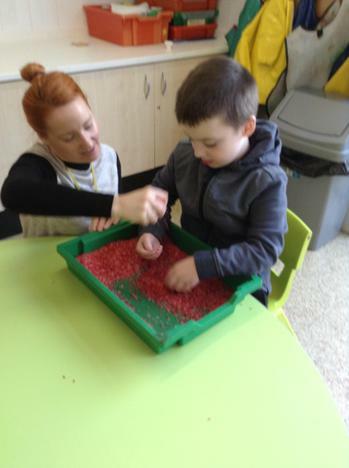 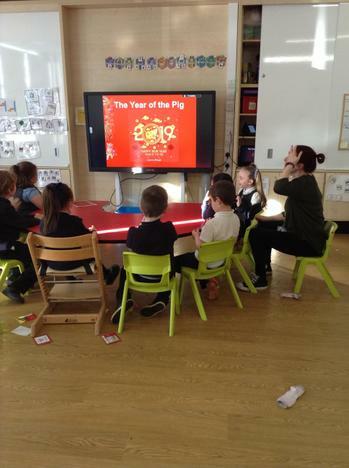 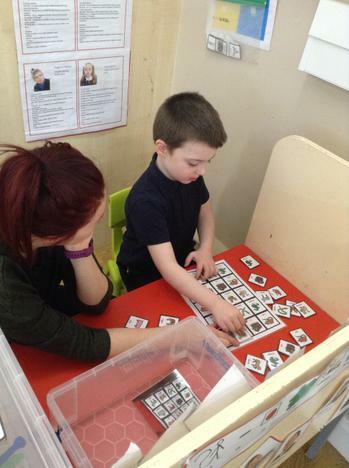 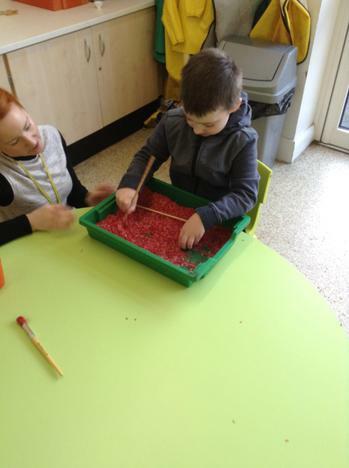 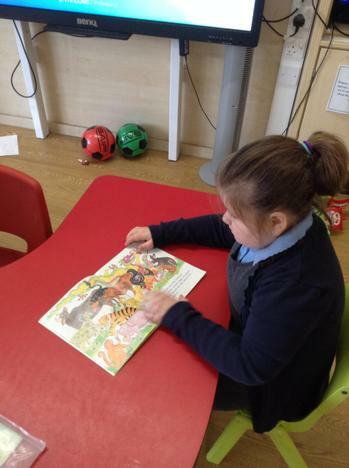 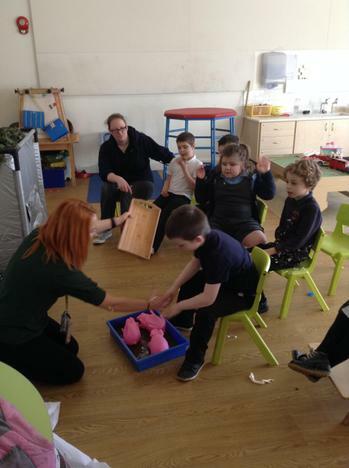 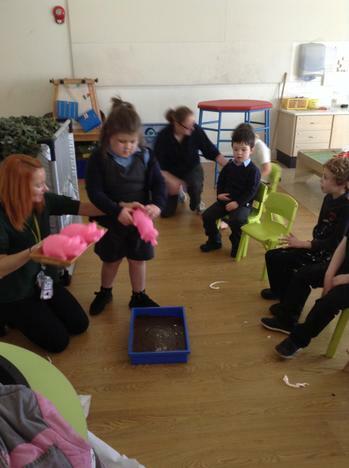 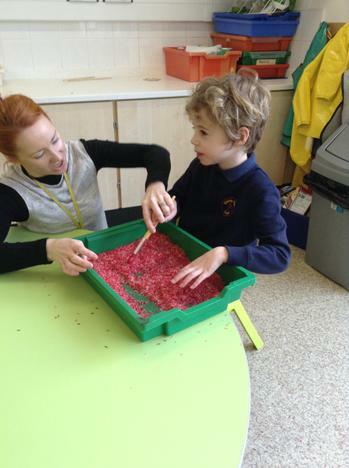 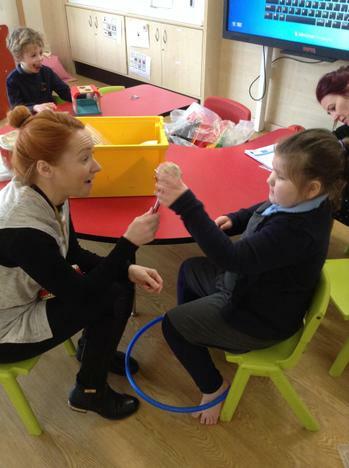 We learnt all about the year of the pig during our sensory story. 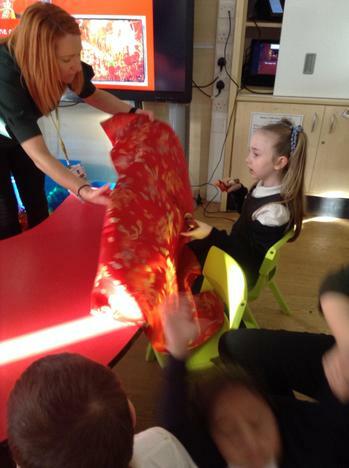 We also made red Chinese lanterns and tasted different Chinese food. 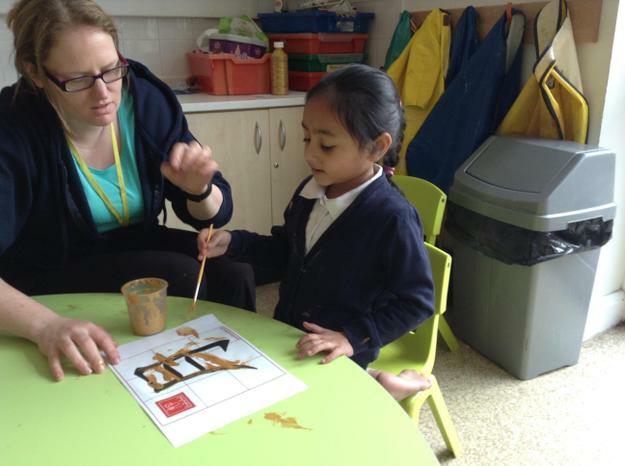 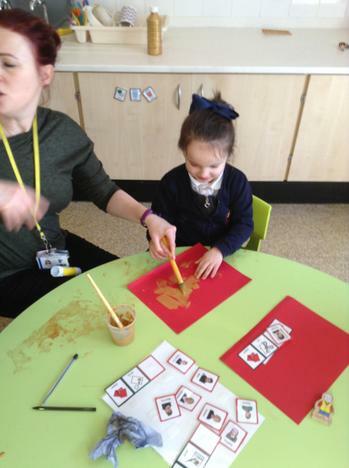 We explored our initials in Chinese letters using gold paint and we danced and played instruments to Chinese New Year songs. 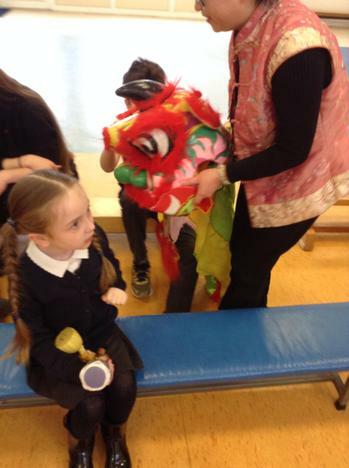 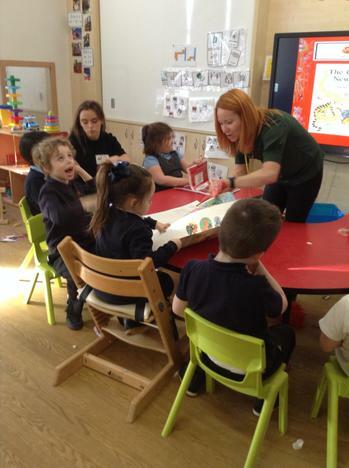 We also held a special class assembly during which we met a real life dancing lion - the children were fascinated.